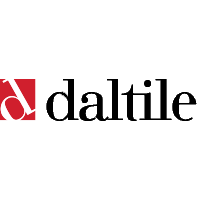 Daltile is a top name brand of the tile & flooring industry. Guess who carries Daltile? K&S Wholesale Tile. You’re welcome (just in case you forget to say it after you buy). Daltile has been awarded the prestigious Floor Covering Weekly Dealers’ Choice Award over a dozen times for various floor coverings in a multitude of categories. In other words: Daltile rocks socks! Have you seen the Daltile Florentine Glazed Porcelain™ with Reveal Imaging™ yet? K&S Wholesale Tile can help you get for feet on some. Daltile launches new products & product line frequently so come in & check out what Daltile K&S has in stock or we can put together a beautiful special order. Daltile provides residential & commercial flooring products. Its authentic porcelain tiles are PTCA-certified with trustworthy manufacturing processes. Daltile is recycle-friendly too. Over 97% of manufactured products have pre-consumer recycled materials & select floor tiles 15+% post-consumer recycled materials. Beauty, elegance, stylish, unique & trustworthy. Daltile brings to life what you envision with its incredible selection of tile & stone for projects big or small. It’s a market leader of a higher standard in flooring surpassing expectations of product quality in the industry. “Fashionably versatile”, Daltile products are LEGIT high quality & very durable. This ain’t the cheap stuff. Ask K&S Wholesale Tile about the Daltile ProAdvanced™ Protection Program. ProAdvanced™ helps extend the lifetime of stone tile even further or until you’re ready for a fresh tile job. Daltile believes in quality that goes deeper than the tile surface (See what we did there?). Daltile quality controls during manufacturing ensure wall & floor tile that proves a smoother install job that can last a lifetime, backed by a multi-year and lifetime warranties. Did we mention Daltile is kind of cocky? They back it up though. Daltile makes the bold claim it has “the most” comprehensive tile & stone installation warranty in the United States & internationally. The brand offers a multifaceted selection & provide you with resources, inspiration & name recognition. Daltile says its “the best”. It’s hard to disagree.